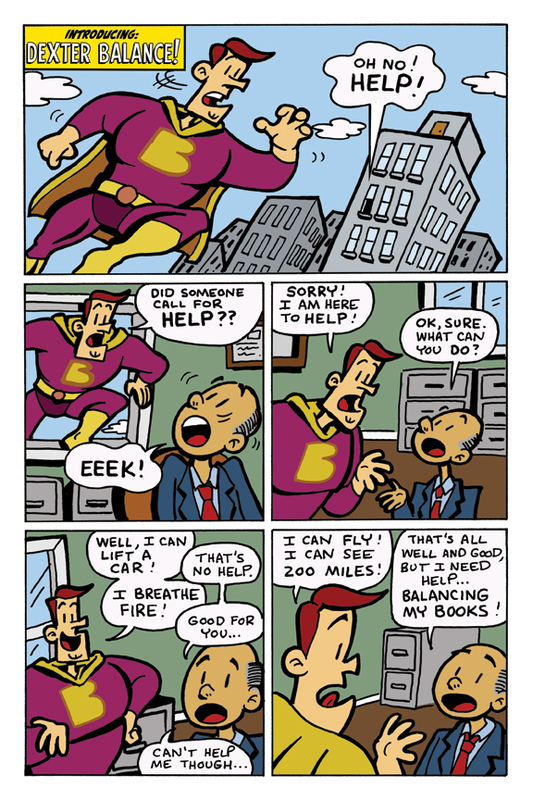 The real hero of Busi-Town is not a person who just helps with one-off problems; catching books up for tax prep, dealing with an audit, or teaching software skills because an in-house accountant was just hired. These things are important but indicate you’re managing the accounting yourself. 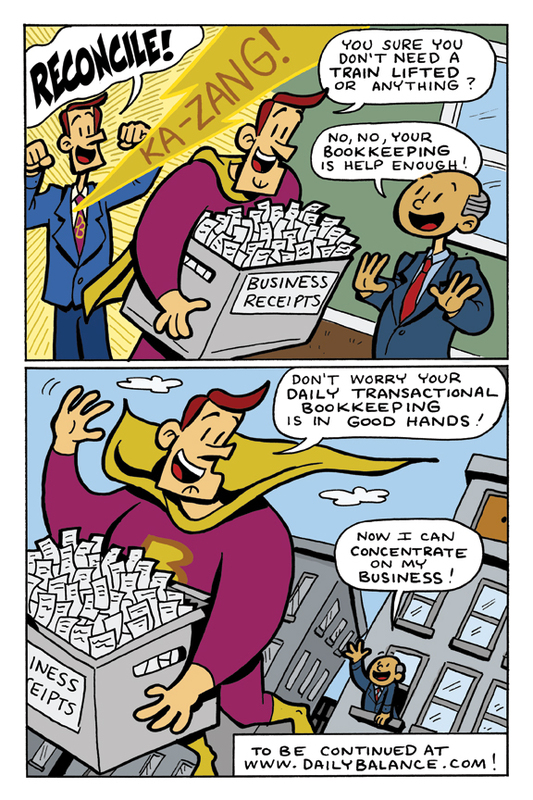 The hero is an accountant who can enter the chaos of your situation and create a bookkeeping system that works. Not only that but who takes all the “paperwork” off your back and organize the businesses financial life, so you get real-time information that helps you make money. Looking in the rear-view mirror and dealing with the past has little value. Sure, the past indicates the road you’ve been on and is an indicator of where you’re going. It’s best to know what’s going on NOW in your business. This way you can make coarse corrections quickly and avoid danger. For example, what would it feel like if you could have a cash flow projection based on fresh, accurate, real-time information that tells you the business will run too low on cash to meet payroll. How could you possibly have a cash flow projection without also having a bookkeeping system that is efficient, accurate and one that utilizes available technology? Could you create this yourself? Possibly. Good idea? No. Could you hire an in-house person to create and run this? Sure, but you would have to manage it and have the depth of knowledge to figure out if its being done right. Could you hire an in-house person or persons and a CPA to periodically review? Sure, you could. Many do. But does that ensure you get accurate, real-time information? You’d probably get accurate information but not much quicker than monthly. 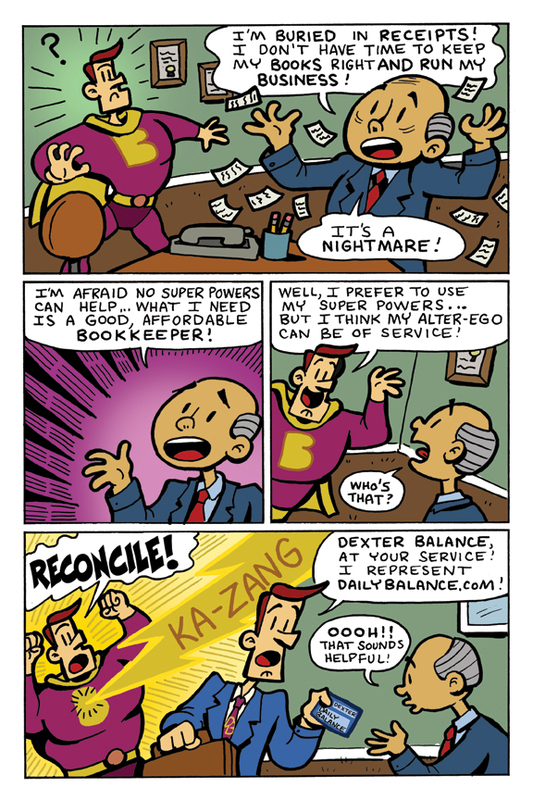 Fraud-Does your bookkeeper also handle your cash? What other opportunities are there to steal or fabricate? Reports-Are you doing without current and accurate financial statements/cash reports; and do you not understand them anyway? Software-Challenged by trying to find someone who knows how to use the accounting software and finding the best options for your business? Constant turnover – Fed up with staffing and training an accounting department? Lower cost-Cutting costs resulting in lower level accounting. Hiring an outside, professional CPA, firm to not only create your system but use and maintain it makes a lot of sense. An outside professional has little motivation to commit fraud. If you’re not familiar with the “Fraud Triangle” you should be. Here’s a brief article https://www.hrzone.com/hr-glossary/what-is-the-fraud-triangle. Since a CPA firm is licensed by the State they have an ethical code by which they must abide. An outside professional CPA will create an efficient workflow and will commit to supplying you with timely financial reports. Fresh information will allow you to make better decisions. And CPA’s can present financial information graphically. They can work with you in monitoring critical KPI’s (Key Performance Indicators). 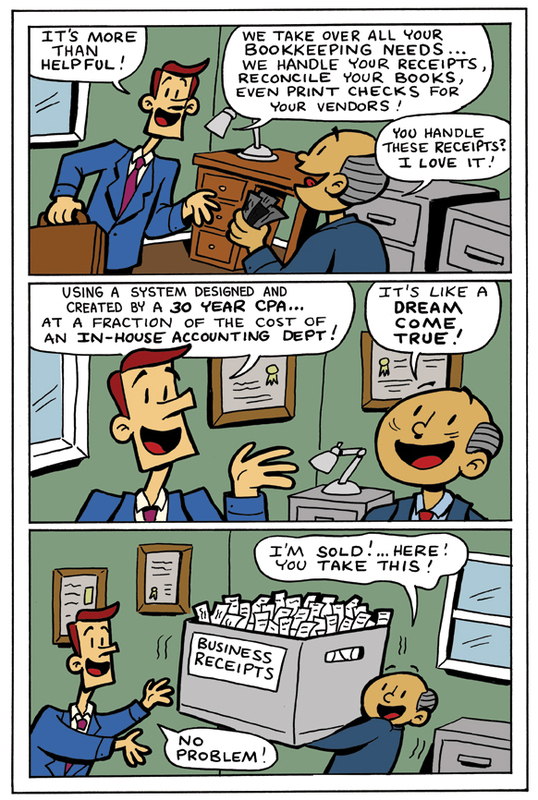 The most important added value, however, is that a CPA will explain to you what your numbers are trying to tell you. And if they do the data entry their trust of the numbers is greater. So many direct and indirect costs of bookkeeper turnover! Over time as business personnel come and go it’s the outside professional CPA firm that remains year after year. Can you imagine the degree of consistency and continuity? Many businesses consider the accounting department the last on the priority list. This can produce low quality accounting. Low quality accounting means bad information. Bad information means bad decisions. Is this a risk you are willing to take with the business? Not all outside professional bookkeeping services are the same. If I’ve made you think a little and you’d like more information about what to look for in an outside professional CPA bookkeeping company give Daily Balance a call 1-800-4UDAILY (1-800-483-2459).